If pharmaceutical companies could patent sunshine, would we even be discussing the best source of vitamin D? Of course not. In fact, sunshine is the only natural and intended source of vitamin D on the planet. Dietary sources of vitamin D — with the exception of fatty fish like salmon and tuna — are unnaturally supplemented with “The Sunshine Hormone” at small levels well below what nature gives you naturally when you expose your skin to the sun. (1) The amount of vitamin D you need to regulate proper cell growth in every system in your body is only naturally consistent with the levels of vitamin D you make when you are exposed to regular sunshine. 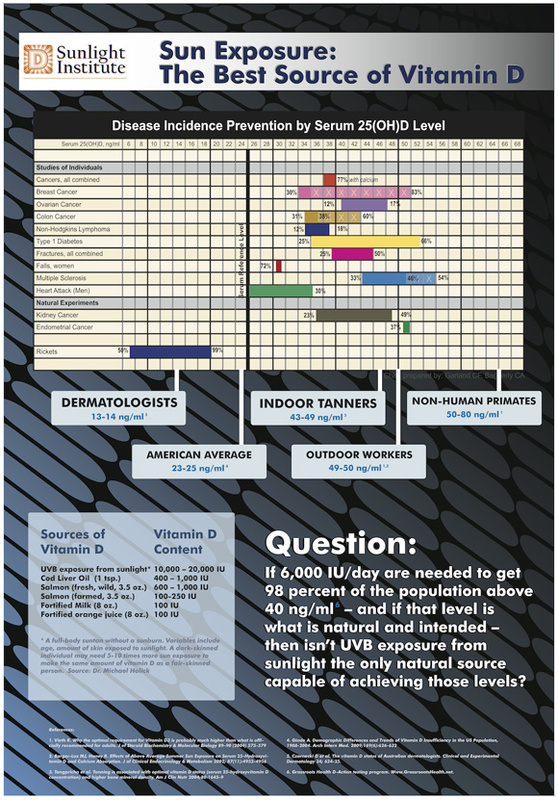 (4) Those who get the most sun exposure have the highest vitamin D levels — levels naturally consistent with what we now know humans need to regulate cell growth, which greatly reduces your risk of most cancers, heart disease, multiple sclerosis and many other conditions. (5) What’s more, your body knows how to regulate vitamin D made from sun exposure — it naturally uses what it needs and gets rid of any extra. That can’t be said of dietary vitamin D or vitamin D supplements. 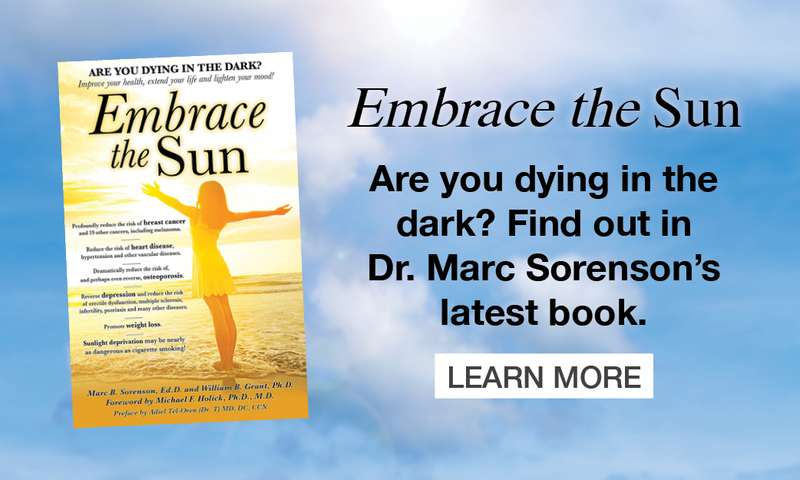 Furthermore, studies show that vitamin D made from sun exposure to the skin lasts at least twice as long in the blood as unnatural vitamin D from dietary supplements.